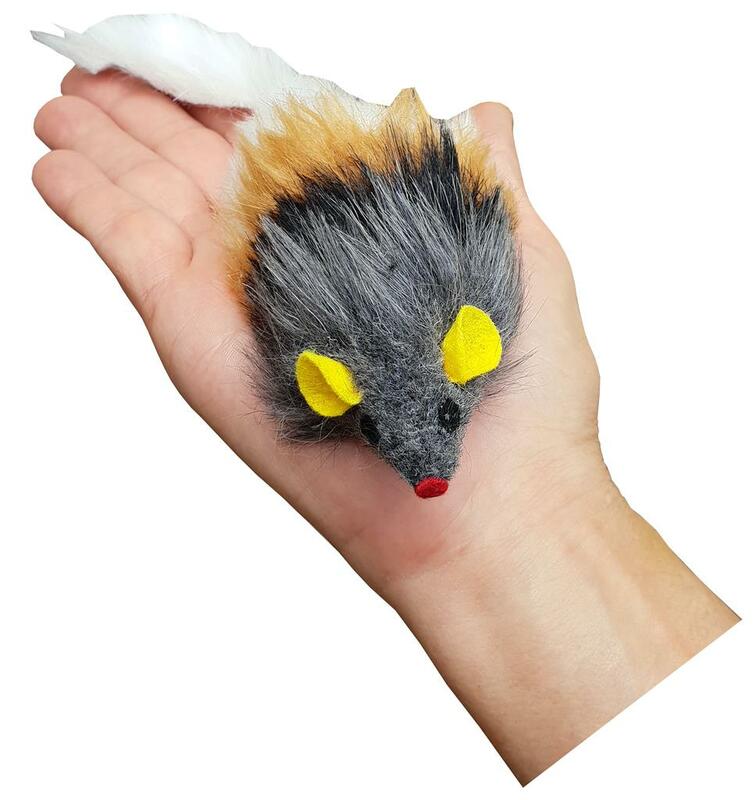 Play-n-Squeak Dog Toys Squeak Mouse. This amazingly realistic sound awakens the Dog's hunting instincts. Play-n-squeak Dog toy keep your Dog alert and physically stimulated throughout the holidays and year round. Will give your pet hours of fun and can help to keep them fit and healthy. To be used for Dog Training, For interactive play and will provide your dog or puppies with exercise and fun. Super lovely soft fake fur design soft on hands, . The toy with squeaker, great for fun and entertainment, durable to squeeze. It would be a wonderful gift for your pets. Can be used for training :- Can be placed at the end of a long rod, mice give your DOG or cat a realistic hunting experience. Awakening your Pets hunter instincts providing them with healthy mental and physical stimulation.